Today Nebraska Wildlife Rehab received another adult raccoon that was found within the Omaha city limits, caught illegally in a leghold trap. It is the second raccoon we have received this fall/winter from an illegal leghold trap, and one of dozens we have received in the past decade. The Nebraska Humane Society rescued this raccoon this morning and is doing the important work of determining who set the illegal traps and pursuing legal action against them. Through our partnership with the Nebraska Humane Society, we take all of the wildlife they receive daily, so this beautiful animal became our charge, once the Animal Control Officers brought her in. Dubbed “Dennis” by ACOs, the raccoon got a little name change once we picked her up – we’ll call her “Denni” for now. She is an otherwise healthy adult (2-4 year old) female raccoon, who was definitely a mother this past summer. Normally at this time of year, she would still be supervising her offspring as they continue learning how to navigate life in the wild. Together they spend the winter foraging for food, and when it is really cold or snowy, they hole up together in a nice cozy den until better weather prevails. Once we picked her up, we immediately took her to our veterinarian, VCA Animal Medical Center, so that we could sedate her, examine her injuries, and take an x-ray to ensure that there were no fractures in her arm or wrist. Happily, the x-rays showed no fractures; however, a break is generally not the worst injury we see from these types of traps. All of the raccoons that are caught in these traps tend to have swelling and nerve damage, and “Denni” is no different. She has extensive swelling in the leg, as well as wounds caused either from the trap or from her struggle to break free. Nerve damage is apparent, as well as tissue damage from an extended period of time from restricted blood flow, and only time will tell whether she will regain critical function in her hand. Tonight, we soaked her wounds in antiseptic and iced her arm for as long as we could while she was still sedated. We also began a life-saving three-drug regimen that addresses the swelling, tissue pain, and nerve pain she is experiencing. This is important because if we neglect any of those symptoms, she could start chewing on her leg due to the discomfort, causing much more damage. Raccoons that do not have nerve pain addressed when they are experiencing it have been known to chew their own hands off. If you have ever felt the pain or numbness of a pinched nerve, you can begin to understand how their arms feel after this type of injury! These traps do not simply “catch and hold” a raccoon. They are comprised of a wire that tightens around the raccoon’s wrist/arm, holding it in place. Due to their anatomy, raccoon hands cannot be held like a human’s hand in handcuffs – they would be able to slip their hand easily out of that type of loop. The loop on these traps creates a tight stricture around the arm, cutting off blood supply and impinging on the nerves in the arm. As the raccoon struggles desperately to get out, the trap only gets tighter and causes more damage, including abrasions and wounds to the outside of the arm. When left in these traps for an extended time, raccoons have been known to chew the trapped leg off, either in desperation to escape, or more likely, from the pain of the stricture. Most of those raccoons die in the wild from blood loss, infection, and the inability to forage well without both hands. Raccoons are mammals, just like humans, and just like our beloved dogs and cats. Just as we know that dogs and cats feel pain and fear, so do raccoons. The pain inflicted by these traps is excruciating and the fear they experience knowing they can’t get away must be awful. •	It is illegal to trap in Omaha city limits at any time. This is true for many other municipalities throughout the state as well. •	It is illegal to trap on public lands, unless otherwise indicated/permitted by the state. •	Wildlife trapping is allowed only during the appropriate season for the animal, requires a permit from the state, and can only be done with legal traps on property where the trapper has permission from the landowner. All traps must be labelled to identify the trapper, and all traps must be checked every 24 hours at a minimum. In most cases of traps found in the city limits, people are not trapping for pelts or for food. They are trapping because they don’t like raccoons or have a perceived nuisance issue with raccoons. This is illegal trapping on several levels, and there are city and state penalties for these violations. 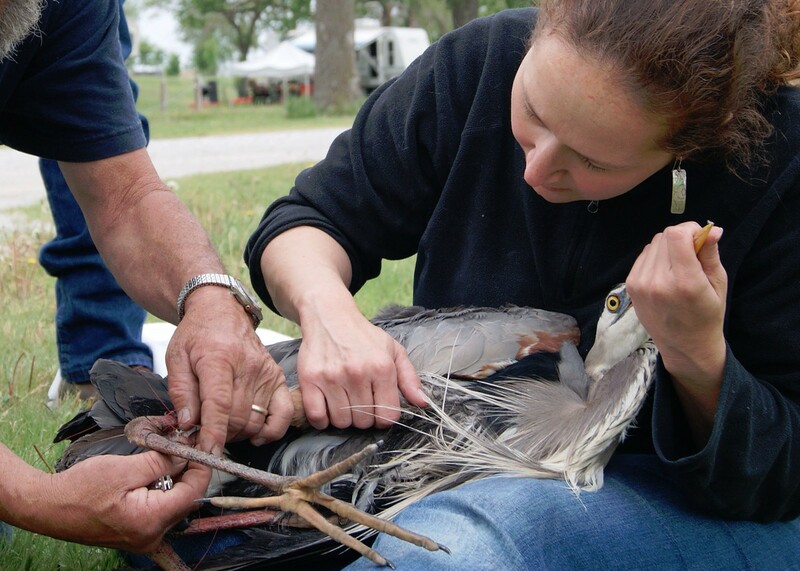 One part of Nebraska Wildlife Rehab’s mission is to rescue and rehabilitate native wild animals, and release them back into the wild. Each year, more than 90% of the animals we receive come to us due to damage done to them by humans, either intentionally or unintentionally. We believe that it is only right for us to help wildlife, as they face steep odds in their attempts to coexist with humans. But we are not just here for the animals. We are here for people too! We understand that people come into conflict with wildlife and we know how frustrating that can be. We provide extensive resources to help people solve problems they have with wildlife, from information and instructions on our Web site, to a wildlife hotline staffed by employees and volunteers who can give you expert advice on living in harmony with wildlife. If you know someone with a nuisance wildlife issue, please send them to our Web site (http://nebraskawildliferehab.org/wildlife-help/nuisance-wildlife-issues/) for resources and tips. If they need more information, they can call us at 402-234-2473 for help. We want all of our friends, animal and human, to coexist. We usually find that once people understand why wild animals behave the way they do, they can resolve the problems and get down to the business of truly enjoying nature. As for “Denni” the raccoon, her road to recovery right now is uncertain. Rehabilitation for this type of injury takes weeks and months, not days. We must wait to see if the medications bring her enough relief to allow her arm to heal, and if the damage done can be reversed. Her successful rehabilitation is not impossible – the raccoon we received earlier this fall that was also caught in a leghold trap has completed his treatment, and his stay here will end in the coming week with his return to the wild. We’ll do our best to get some film of his release, and to keep you updated on Denni’s progress. NHS would like to locate the individual who set these illegal traps at a park near 162nd and California streets in Omaha. Residents can call 402-444-7800, ext. 1 with information if they saw anything suspicious.